Guided Fishing on the Rogue and Umpqua Rivers' for Salmon and Steelhead in Southwest Oregon: Upper Rogue River Fishing For Steelhead in a Drift Boat Near Shady Cove, Ore.
Upper Rogue River Fishing For Steelhead in a Drift Boat Near Shady Cove, Ore. Fishing on the upper Rogue River has been great! 5 for 7 today, I was only able to take photos of the hatchery brats that we got though due to a full memory card in my camera. Side-Drifting small clusters of eggs has been producing most of my fish. A small presentation has been key with the low and clear water that we've seen this Fall. 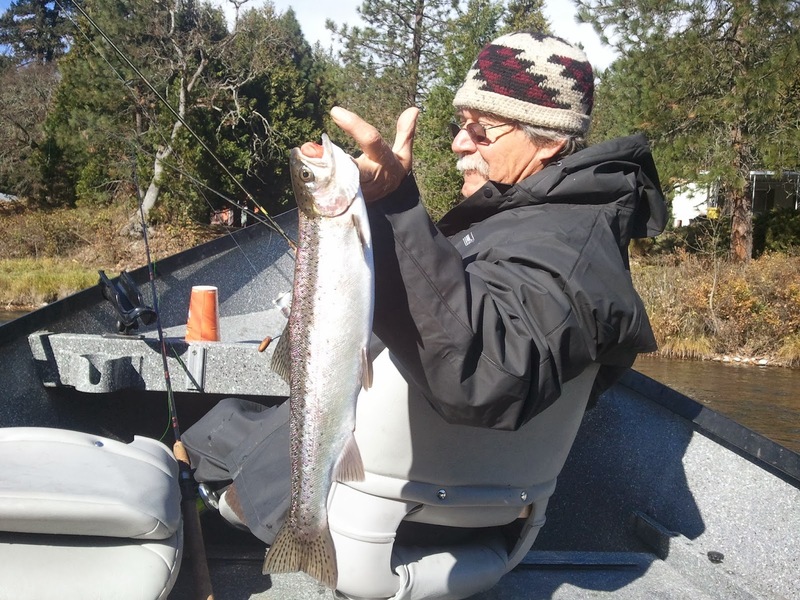 They're very hard fighting steelhead and with Coho Salmon in the river too, there's good chances for a mixed bag of fish. 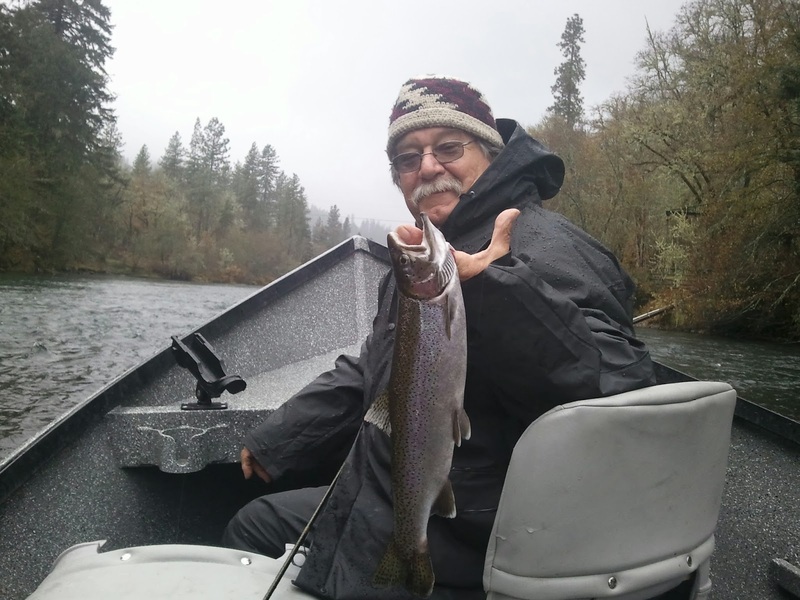 November is a really fun fishing on the upper Rogue River, and it typically stays good throughout December. 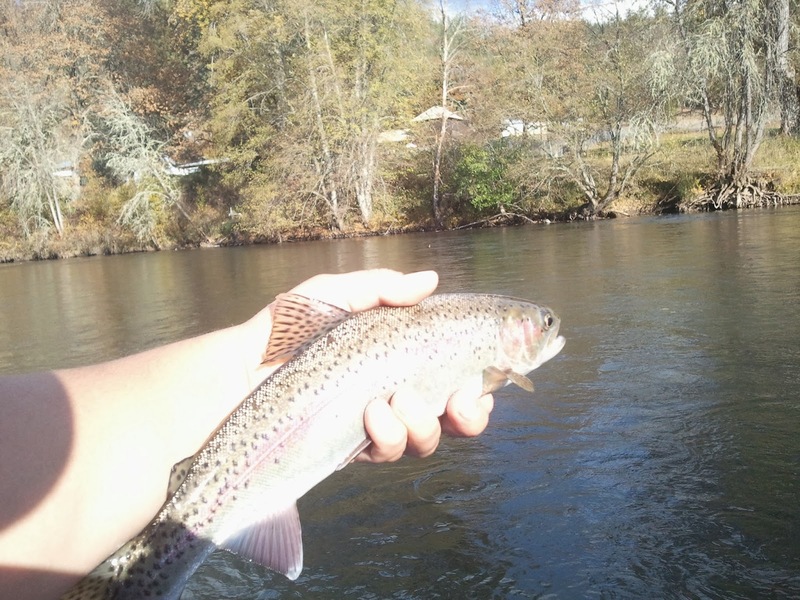 By then I am starting to get ready for winter steelhead season on the Chetco, Elk and Sixes Rivers on the Southern Oregon Coast.